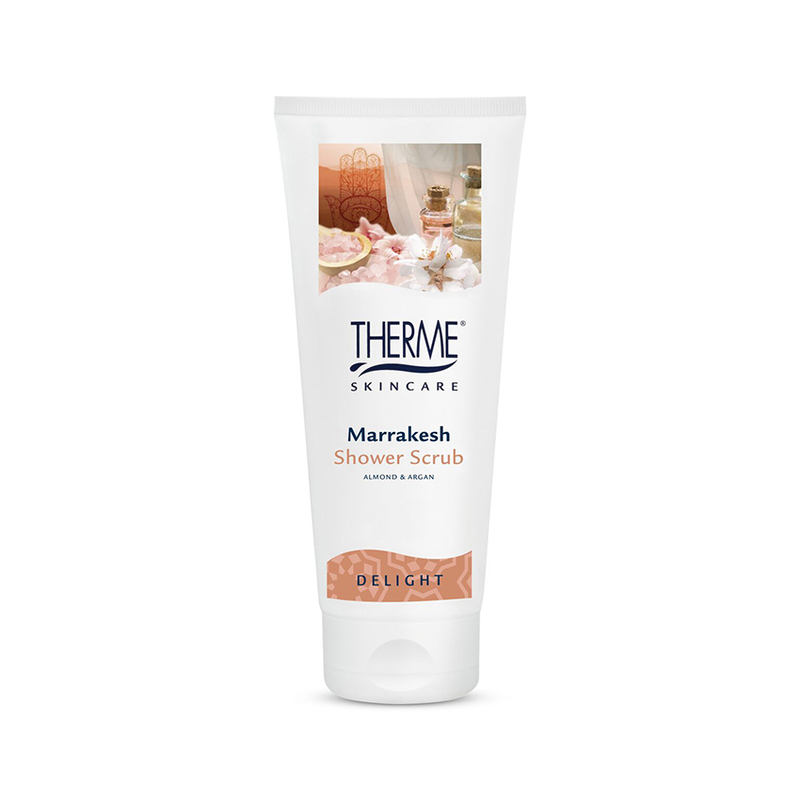 THERME Marrakesh Shower Scrub is excellent for scrubbing away dead skin and will leave your skin feeling soft and smooth. The sweet almond oil and rich Moroccan argan oil nourishes and conditions the skin. Apply the scrub to wet skin. Use the Shower Scrub in combination with THERME Marrakesh Shower Satin and Marrakesh Body Butter for an invigorated skin.